Dr. Kelli Johnson earned a Ph.D. in Counseling Psychology from the University of Miami in 2002. She completed both her internship and post-doctoral residency at the University Counseling Center at Florida State University, and has maintained licensure in good standing since 2003. Dr. Johnson has been licensed as a psychologist in Florida, is currently licensed in Illinois, and is in the process of obtaining licensure in Louisiana. Post-licensure, Dr. Johnson provided both clinical services and clinical supervision for practicum students and for interns completing APA-accredited internships at Florida State University, followed by the University of Illinois-Chicago where Dr. Johnson served as Assistant Training Director, before serving in the role of Training Director. Dr. Johnson then transitioned to academia in the position of Director of Clinical Training at the Illinois School of Professional Psychology-Schaumburg, where she was responsible for oversight of all practicum- and internship-related activities, for the APA-accredited Clinical Psychology PsyD program in Illinois for 6.5 years. She also maintained a small private practice in downtown Chicago. Dr. Johnson joined the faculty of TCSPP-XULA in the position of Department Chair in March 2018. 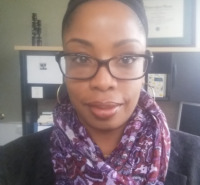 Her choice to join the program was motivated by the clear value that faculty and students at TCSPP-XULA actively place on diversity, community engagement, social justice, and advocacy for marginalized and oppressed populations.